Washington (AFP) - The agency that regulates food and drugs in the United States has drawn up new rules restricting the use of antibiotics in livestock in an effort to combat a growing resistance to the drugs. 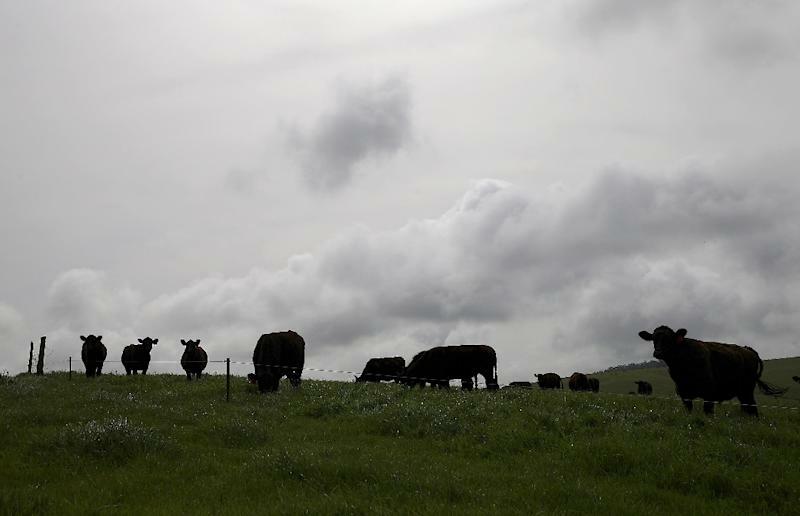 Only veterinarians will now be allowed to administer antibiotics used by humans to cattle, sheep or poultry, and only when needed for specific animals' health reasons, the Food and Drug Administration announced on Tuesday. Antibiotics for livestock have been sold as nonprescription drugs in the United States until now. The drugs are frequently used not to treat sick animals but to accelerate their growth and prevent infections. Michael Taylor, the FDA's deputy commissioner for foods, said the new rules moved the country "toward a fundamental change in how antimicrobials can be legally used in food-producing animals." In December 2013, the FDA issued a directive calling on drug makers to voluntarily stop describing antibiotics used in animal feed and water as stimulants to growth, and instead as requiring the supervision of a veterinarian. In 2012, the agency said it intended to restrict the use of certain antibiotics, notably cephalosporins, in cattle, pork and poultry. It has been shown that the use of antimicrobials in both humans and animals contributes to a developed resistance against antibiotics, the FDA said, insisting it was important to use them only when medically necessary. A 2012 study by the Translational Genomics Research Institute found that nearly half the meat in the United States was contaminated with staphylococcus aureus, half of which were resistant to three types of antibiotics. US attitudes about antimicrobial use in animals are changing, however. Retail giant Wal-Mart on May 22 called on its American suppliers to improve the conditions in which livestock is raised, and to reduce the use of antibiotics. Three weeks before that the agroindustrial giant Tyson Foods announced it would stop selling poultry raised with antibiotics by 2017. A similar promise was made by fast-food restaurant chain McDonald's. Earlier this week, more than 150 hospitals, medical and agrobusiness groups took part in a White House forum on controlling the use of antibiotics and combatting microbial resistance. About 23,000 people die each year in the United States from infections caused by pathogens resistant to antibiotics.